There are a lot of methods used today to find the value of your company. Whether you are thinking of selling your business, buying a company, or searching for a way to show the figures of your company to investors, it is important to know the actual value of your company. This is a critical part of operating a business, and there are many methods of valuation that you can choose from. Though the methods of valuation seem to be an easy way of finding your company’s value, there are a lot of things to consider for your business. By disentangling the different parts of your company, you would be able to get the value of your business accurately. But how do you get an accurate view of your business? There are a lot of methods used today to find the value of your company. This article explains these methods of valuation, and also give you detailed information regarding the three main methods of valuation. 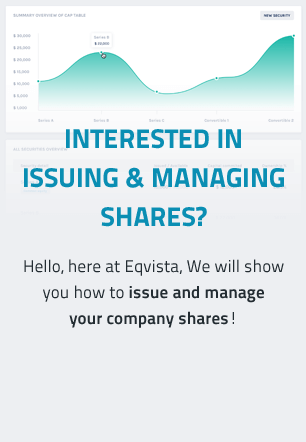 You may wish to add shareholders, or a shareholder may be leaving and looking to liquidate their shares. In this case, you would have to determine the share value of the company through a company valuation. You may be looking for equity or debt financing. In this case, potential investors would see what the business is worth before they invest in your company. You might be thinking of selling your company. For this, you need to know the actual value of your business to get most out of the deal. The reasons can be anything, but the value of your business is something that is important to know and depends on many factors. Some of the factors include the current state of the market, your business’s financial statements, and even what state you were incorporated in! The most common are the three main methods of valuation: The asset based approach, earning approach, and market value approach. What are the three Common Methods of Company Valuation? This method includes the addition of all the assets put into the business. The asset-based methods of valuation are usually done on a liquidation basis or a going concern. Let us understand the concept a bit more better with the following explanation. This approach focuses on the fair market value (FMV), or the net asset value (NAV) of the company of the total assets subtracted by all the liabilities to figure out how much would it cost to re-create the company. There is a little room left to decide which of the liabilities or assets of the company has to be included in the company valuation and how exactly we measure the worth of each. Other than this method, there are two other methods of valuation that are used. One is the market approach, which looks at what similar businesses in the market are worth, and the other is the earnings approach. This estimates the total amount of money that they business might produce in the future. These two would be explained further in the article. The actual value in the asset-based approach to calculate the company valuation could be much higher than just adding all the recorded assets of the business. Let us take for instance the balance sheet of the company. The balance sheet may not always have all the significant assets like the company’s methods of conducting business and internally developed products. This happens as only the records which the owner has paid for appear on the company’s balance sheet. So, if there are other assets of the business that the owner did not pay for, they are not recorded in the balance sheet. Along with this, a few companies have many special products or services that make them unique. Putting a price on these for selling the business can be difficult. In short, even though this method is used a lot, it cannot be used alone as it would not represent the exact value of the company. Then why do we use it and when is this method used? The following would give you an answer to this. The adjusted net asset method can be used when a company has been generating losses or is not operating and the company only holds investments or real estate. This is one of the methods of valuation that is utilized for getting the estimated value of the business. To get the fair market value of the business, we would have to get the difference between the fair market value of the total assets of the company and the fair market value of the total liabilities of the company. Let us understand how it is done. The asset-based method of valuation starts by preparing a financial image of the business from the information that we have on a balance sheet. The current asset value would be different compared to the acquisition costs of the assets. Even though the balance sheet has all the liabilities and assets listed on it at the historical cost, correctly utilizing this approach is based entirely on recasting those costs and obtaining the current value. Basically, the assets are reviewed, and the fair market value for each of them is then determined. Let us take an example to understand this better. A landowner might work with a real estate appraiser to get the fair market value of the land. And with this, the owner might find out that the land he bought 10 years ago for $1 million has a worth of $3 million. With this discovery, the land would be then restated at $3 million to apply the net asset value method, which is one of the common methods of valuation. The same thing is done for each and every asset of the company. On the other hand, the liabilities are often already as per the fair market value. Hence, in most of the cases, there aren’t any calculations required to determine this. All the fair market values of the assets are put together and then the total of the liabilities are subtracted from it. The final estimate that comes is the value of the business. This is another common method of valuation and is based on the idea that the actual value of a business lies in the ability to produce revenue in the future. There are a lot of methods of valuation under the earning value approach, but the most common one is capitalizing past earnings. Capitalization of earnings is one of the more common methods of valuation, where the value of the company is determined by calculating the NPV (Net present value) of the expected future cash flows or profits. The estimate here is found by taking the future earnings of the company and dividing them by a cap rate (capitalization rate). In short, this is an income-valuation approach that lets us know the value of a company by analyzing the annual rate of the return, the current cash flow and the expected value of the business. Still not sure how this works? Let’s look at a detailed explanation to give you a better idea. This approach of the capitalization of earnings, being one of the conventional methods of valuation, helps investors figure out the possible risks and return of acquiring a company. Finding out the capitalization rate for a company includes knowledge of the different kinds of industries and businesses, as well as a significant amount of research. Normally, the rates that are used for small businesses are 20% to 25%, which is the ROI (return on investment) that every buyer looks for while choosing which business to acquire. As the ROI doesn’t normally include the owner’s salary, this amount has to be separate from the ROI calculations. Let us take for instance a small business that earns about $200,000 every year and pays the owner a FMV (fair market value) of $50,000. The remaining $150,000 is used as the income for valuation purposes. As soon as all the variables are known, the calculation of the capitalization rate is obtained with a simple formula. The formula is operating income divided by the purchase price. At first, the thing that has to be determined is the annual gross income of the investment. After this, the expenses for operating has to be subtracted to find out the total operating income. Then, this value is divided by the investment’s/property’s purchase cost to find out the capitalization rate. There isn’t one perfect method to determine a company’s value, which is why assessing a company’s future earnings has some drawbacks. At first, the method used to predict the future earnings might give an inaccurate figure, which would eventually result in less than expected generated profits. In addition to this, exceptional circumstances can occur that eventually compromises the earnings, and affect the valuation of the investment. Further, a business that has just entered the market might also lack adequate information for finding out an accurate valuation of the company. The buyer has to know all about the desired ROI and the acceptable risks, as the capitalization rate has to be reflected in the risk tolerance, market characteristics of the buyer, and the expected growth factor of the business. For instance, if a buyer is not aware of the targeted rate, he might pass on a more suitable investment or pay too much for an investment. Let’s take an example of a company that for the last ten years, has earned and had cash flows of about $500,000 every year. As per the predictions of the company’s earnings, the same cash flow would continue for the foreseeable future. The expenses for the business every year is about $100,000 only. Hence, the company makes an income of $400,000 every year. To figure out the value of the business, an investor analyses other risk investments that have the same kind of cash flows. The investor now recognizes a $4 million Treasury bond that returns about 10% annually, or $400,000. And due to this, the investor finds out that the value of the business is $4,000,000. This is since it is a similar investment concerning rewards and risks. This would be a method in determining similar investments to determine the value of a company. The market value approach is another standard method of valuation and is done by comparing the company with other similar companies that have been sold in the market recently. It can be used to calculate the property’s value or as a portion of the valuation method for a firmly held company. This method is not like the other methods and can only work if there are a good number of similar kinds of business for the company to be compared to. In addition to this, this approach can be utilized to find out the value of an intangible asset, security, or a business ownership interest. The market approach analyses the sales of every similar asset, and adjustments made for the differences in quality, quantity, or size, regardless of which asset is being valued. The Guideline Transaction Method which uses the prices of related companies recently sold. The value of a property can usually be estimated by studying the comparables in the real estate industry, like the current properties that were sold, and which had similar features and size. Other things are the location of the property, which also helps in letting us know the value of that property. When it comes to companies, investors usually check things like recent sourcing transactions (sales, mergers), industry, economic condition, and close in operations. Let us take an instance of a young cybersecurity company, where we would like to know the value of this company. The analyst would first scan recently sold cybersecurity businesses or those that have just gone public. It would be noted if the newly IPO-ed and private firms target the same type of customer, rely on similar procedures for keeping their customers safe, and have similar revenues. When analysts and investors perform an analysis to determine the value of a company via the market approach, they should pay close attention to the revenue or sales figures. It’s important to choose companies with similar revenue or sales size. Make Your Company Valuation & ReportsGET STARTED, IT’S FREE! There isn’t a one size fits all type of company valuation, as there are many different methods of valuation for various companies. Out of all the methods of valuation, there isn’t one perfect method. Each has its own advantages and disadvantages based on various factors from industry valuation norms to the current economic market and interest rates. Selecting the correct one for your company would be an important part in the return on your investment during the time you exit. Each business is different and each would have a different way of having the valuation done. The companies that have the best valuation use more than one method for valuation. Many companies utilize a much more broader approach to valuation that is drawn from each of the methods of valuation mentioned above. The main reason behind doing this to suit your business is that every business has a different business model and idea, and so all businesses cannot use the same method. For instance, an online business that has been made around the customers would have a different way to value the business as compared to a brick-and-mortar store. Business owners who are open to discuss the differences that exist in their income streams, the comparative sale rates of other businesses in the market, and their own company’s asset valuations would have a much better chance to enjoy a fair market price for their company. Further, investors would be able to understand that the companies have comprehensive data and understand the regular processes that take place in the business, which would make them trust the valuation more. Out of all this, there is one mistake that many business owners make; they do not approach any professional for guidance. And the reason you need expert advice is as you are attached to your business, you would not be able to look at the things objectively. With the help of an expert, you would be able to unlock any hidden value of your business. Now that you are all clear about what the various methods of valuation are, let us understand what an independent appraisal is. When a business is about to be sold, if there is any business financing purposes, legal separation of business owners, departure or addition of any business partners, part or all of the business ownership is transferred. This is when a business appraisal is used. The people who normally get the business appraisal are the buyers and owners, courts, legal professionals, investors, commercial lenders, and tax authorities. A business owner should have their own company valuation done but by experts. If a business owner does it themselves, they may make a miscalculation and over or understate the value of the company. Also, the company may not have safe harbor in case the IRS decides to investigate further. So, for ensuring that you get the exact price of your business for selling it or for obtaining investment from outside investors, it is important that you have a professional do the company valuation. The person who evaluates your business would use many different methods of valuation to find out the fair price of the company. You might be thinking what does this have to do with the methods of valuation or the company valuation? Well, the assumptions that you make as you estimate the value of your business would create a huge difference to the results of your business appraisal. This is the reason why you need to choose one of the best methods of valuation to get the most accurate value of your business from an independent appraiser. At the end of the day, it doesn’t matter if you are planning to sell your business or not, it is always a good idea to have a comprehensive valuation of your business done. Having a thorough understanding of the economic aspects of your business would give you a clearer picture of your company, especially if you are looking for investors to fund your business. But the above methods are not the only ones. There are other methods and many companies choose more than one method to value their business. The next article would explain all about it.